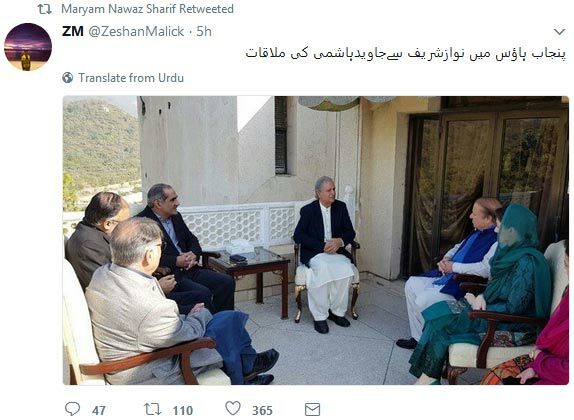 Today Nawaz Sharif family including Maryam Nawaz met Javed Hashmi in Punjab House, Islamabad, and they ponder over taking Javed Hashmi back in PMLN. The picture of this meeting retweeted by Maryam Nawaz. But this is not then end but rather the start of the trend #JavedHashmi on twitter. People have remidined Maryam Nawaz of what she said about Javed Hashmi when left PMLN and joined PTI. Here are the few tweets,from the past, of Maryam Nawaz on Javed Hashmi. ٰIn the end “سیاست ذندہ باد”.